Things got bad in NorCal during the past two weeks. Very bad. But in response to all the bad, a number of people — many, many people — did a lot of good things. Very good things. And they’re still doing them. 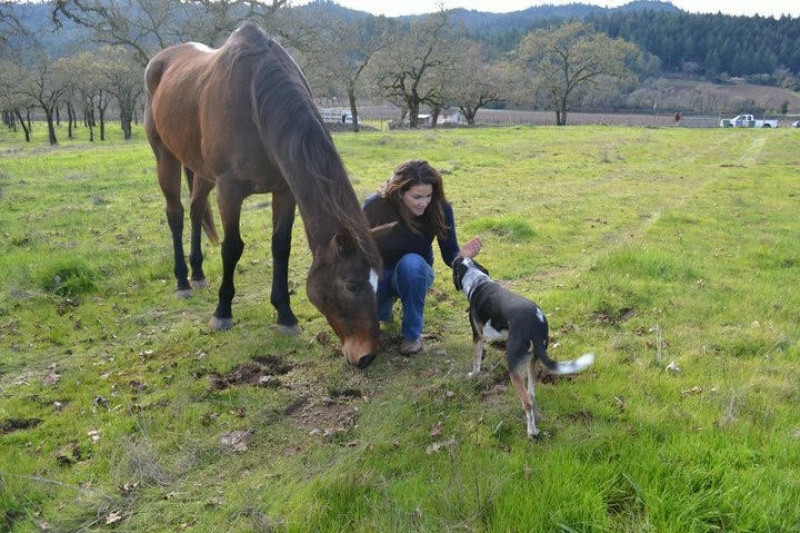 Our blind appaloosa Thunder, with a new friend. While firefighters were battling infernos and police were managing road closures and ensuring the safety of thousands of people as they headed to safety, there were private citizens, ordinary folks, who came through with extraordinary courage, energy and generosity. Some of them were saving animals. Big, powerful, animals who were also terribly frightened and vulnerable. 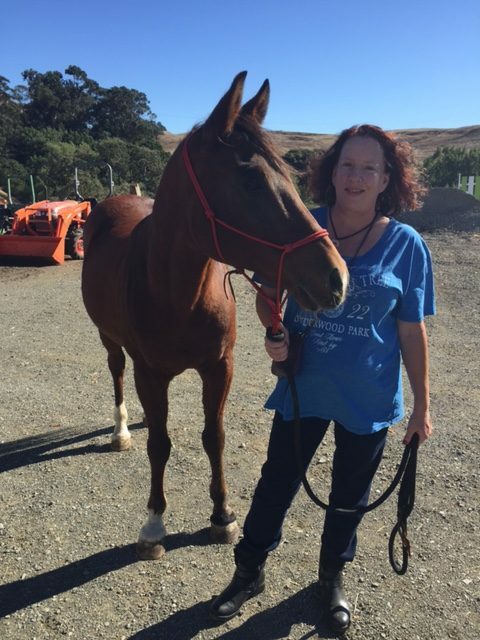 Because within my mature exterior will forever dwell a horse-crazy little girl, I spend a fair amount of my free time volunteering with Sunrise Horse Rescue. 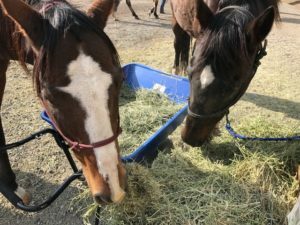 A sanctuary for horses who have been neglected, abused, or whose owners can no longer care for them, Sunrise is located in Calistoga, right in the path of the Tubbs Fire that roared to life on Sunday, October. 7. By Monday afternoon, it became clear we had to evacuate our herd. To say it’s a challenge to move a lot of horses in the middle of a firestorm is a pallid understatement, but people stepped up. 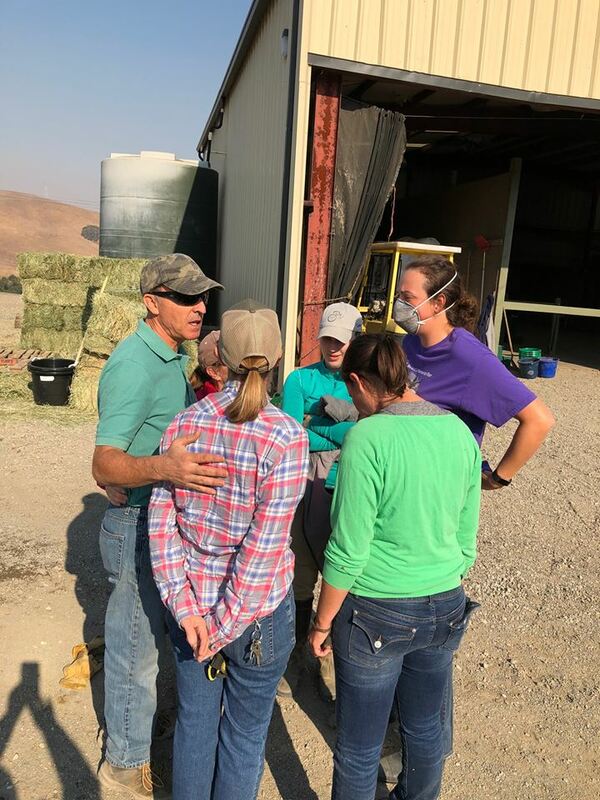 One of these people was our managing director Lindsay Merget, who spent that chaotic Sunday night hooking up a horse trailer to her truck and saving the lives of dozens of equines, even as her own house in Santa Rosa burned to ashes. 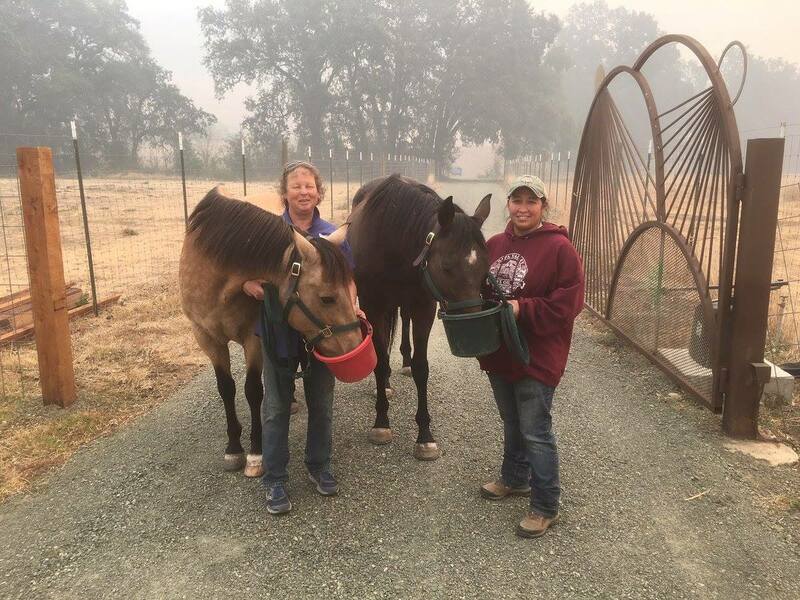 At one point, she stopped to release horses that were shut in a barn in the path of the fire. 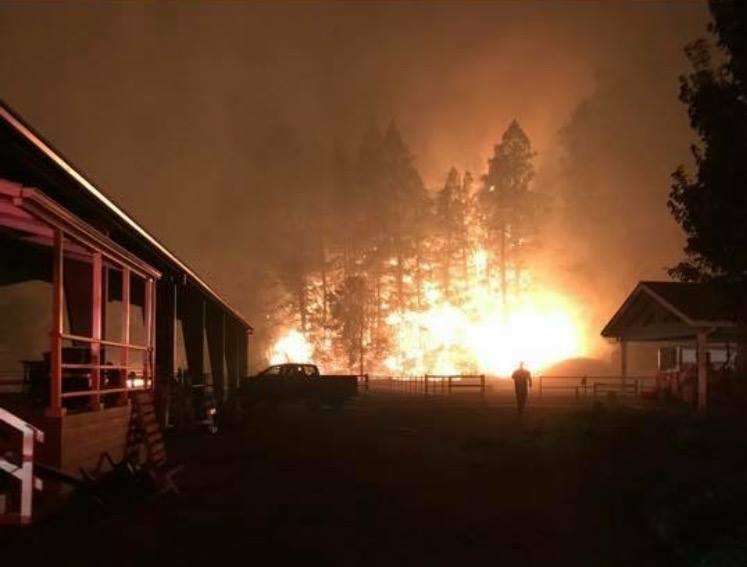 The horses survived; the barn burned to the ground. By Monday, she and her dog were camped out near the coast, working her phone (well, Lindsay was; not her dog), coordinating offers of emergency trailering from people who understood both the sudden value of their equipment and the urgency of the situation. I don’t use this blog for fundraising, but if you’re feeling helpless and appalled by the scope of natural disasters that have beset the planet recently and you would like to have an immediate impact on one individual, I invite you to consider the GoFundMe campaign for Lindsay. There couldn’t be a more worthy recipient; just sayin’. Lindsay and her dog Riley. And a horse. All survivors. In addition to Lindsay, our founding board members went to work, along with a host of partners, volunteers, and kind strangers. 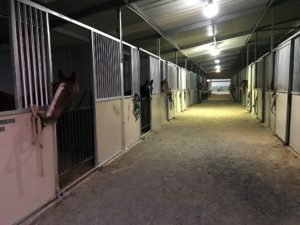 The horses had to be moved in batches to wherever was safe for the moment. Some were staged at the Solano County Fairgrounds, some at Napa Valley Horseman’s Association, and some at Valley Brook Equestrian Center in Napa, where the owners hosted as many animals as they could. It’s tough to keep track of, let alone adequately care for, a large collection of predominately special-needs horses when they’re distributed over distant locations. Our volunteers were spread thin, especially since many of them were being evacuated from their own homes. We desperately needed a single, secure location for our herd. And people stepped up again. 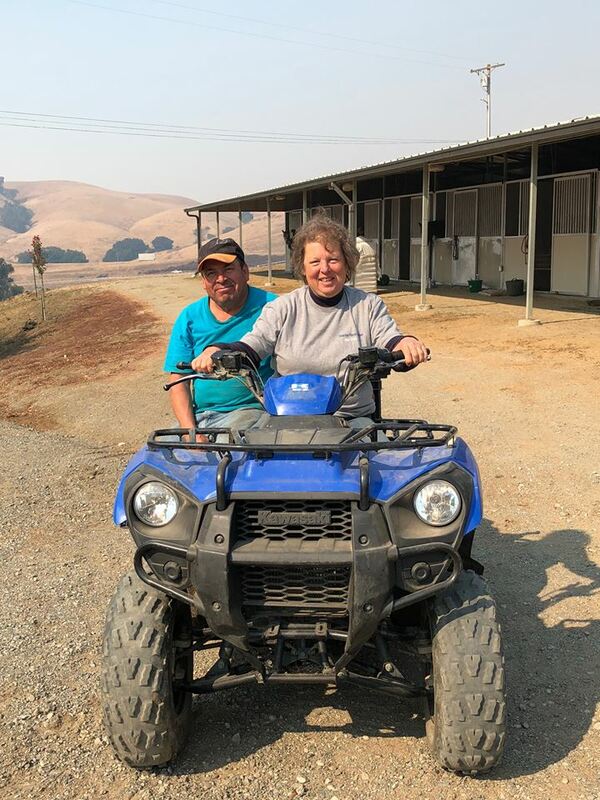 By Wednesday, our herd of 20, plus the eleven belonging to our friends at Blossom Creek Farm, had all been moved to Sunset Ridge Equestrian Center in Martinez, in the East Bay hills. The owners of the property — and I am chagrined that I have yet to learn their last names, but the mother’s name is Jill and her daughter’s name is Laura, and I don’t even know if I’m spelling that correctly, and to my further chagrin I have no pictures of either of them — had put out the word that they had an abundance of space in their barn and pastures. 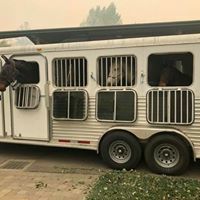 I was at Sunset Ridge when our horses began arriving, skittish and disoriented, being led off trailers by truly heroic haulers. 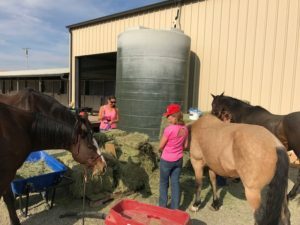 Not only did Jill and Laura make their pastures available: they had the empty stalls in their large barn already cleaned and stocked with bedding, automatic water dispensers freshly serviced and filled. They made free with their silo of feed pellets and their store of hay. They put out snacks and water bottles for the humans. 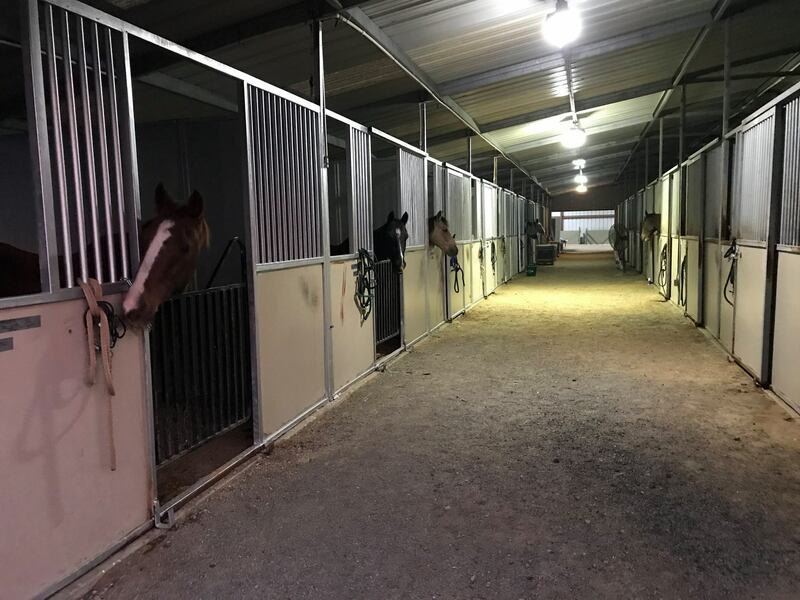 They encouraged us to use their lovely arena to give our critters a break from their stalls and have a chance to roll in the sand. Through all this, neither Jill nor Laura ever said a word about boarding fees or compensation. Their indomitable staffer Pedro set to work mucking out our horses’ stalls twice daily, even though that really should have been our job. Donations came pouring in. Truckloads of fresh hay; pallets of shaving for stall bedding; equine medical supplies. New halters and lead ropes appeared as if by magic. One woman came by with 50 brand new buckets. “Is it too much?” she worried, and I assured her that where there are horses, there is no such thing as too many buckets. Elk Grove Milling sent out its enormous rig to fill the silo with feed pellets. We still haven’t seen a bill. 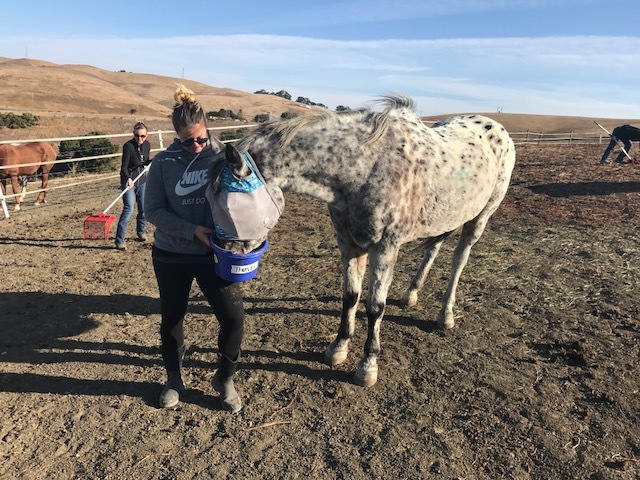 Horse lovers and good-hearted people from all over the East Bay saw our appeals on social media, and signed up to help feed, walk, groom, and assist with an endless task of chores, with unstinting cheerfulness and willingness. In the few days I’ve spent at Sunset Ridge, I’ve had the good fortune to meet many wonderful people. And I’ve made some new four-footed friends as well. 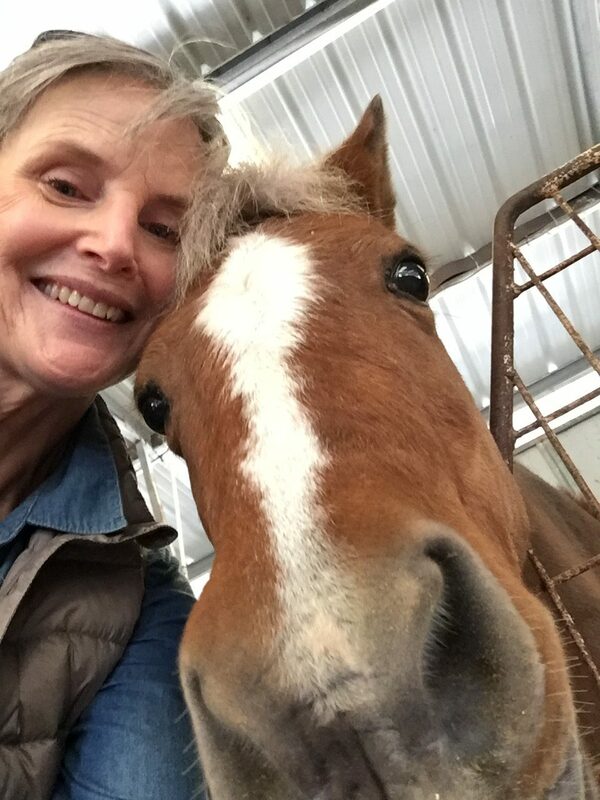 Yours truly with China Doll, possibly the world’s most irresistible pony. Alas, not ours. As an aside, most of these people have been women. For those of us who may have been triggered by the stories coming up in the admirable #MeToo campaign: it is mightily empowering to see a woman matter-of-factly take charge of a nervous animal with hard feet and long teeth who outweighs her by a factor of 10. And who learns very quickly not to give her any guff. I hasten to add there has been no screaming at either Sunrise or Sunset. Despite all the drama and stress, our horses have been comforted, calmed, and loved on by everyone who has shown up. Being horses, they read the emotional climate surrounding them with precise acuity. They know when they’re being helped, and they appreciate it. The fires are out and the air is clear and fresh again. For now, anyway. In the wake of the tragedy is a lot of grief and loss and destruction. But also irrefutable evidence of the ongoing courage and generosity of the human spirit at its best. In these uncertain days, it’s dangerously easy to go sour on humanity. This experience has straightened me out on that. Our herd is slated to go home to Calistoga next week, and I don’t know if I can adequately thank Jill and Laura and Pedro and the scores of volunteers and businesses who have been so generous. But I will never forget them. Your comments, as always, are welcome and appreciated. If you’ve got stories of people redeeming bad events with good deeds, please share: we need all we can get. Thank you for this inspiring post. Right now we need all the positive stories about humanity we can get. I donated to Lindsay’s GoFundMe campaign. I was so glad to be a part of this. I’ve been up there twice in the past week to help and I plan to go today and tomorrow as well with my friend Dana. We shared our pictures and stories all over Facebook and our Martinez community page and it was amazing how many others wanted to help as well. We truly fell in love with those horses. So glad they get to go home tomorrow but we will definitely miss them. 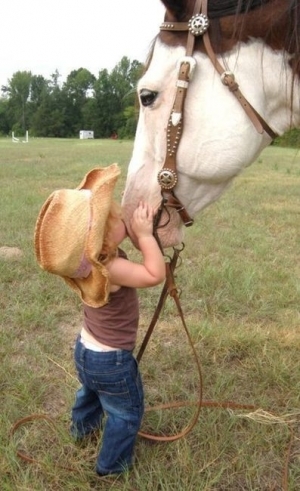 Horse people are the best people. 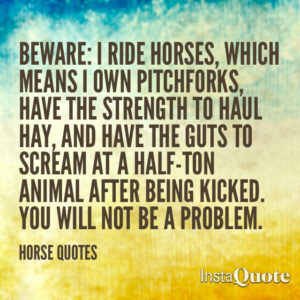 And fire is a horse’s worst fear. 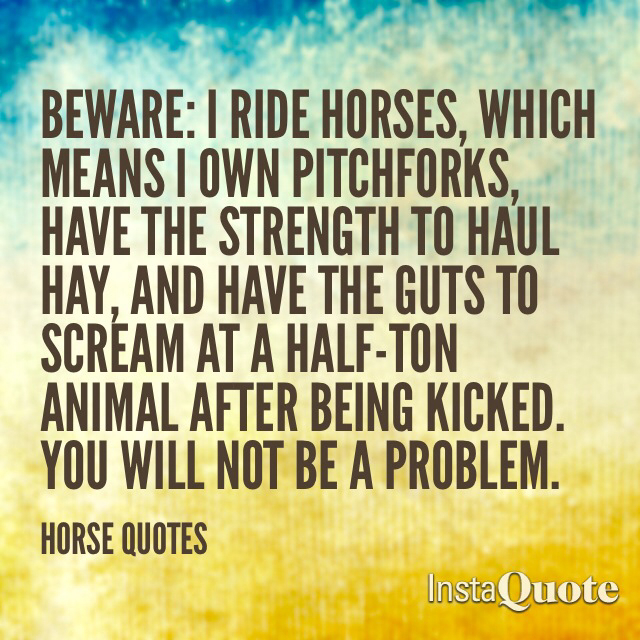 Kudos to all of the brave and generous people who kept your herd safe. 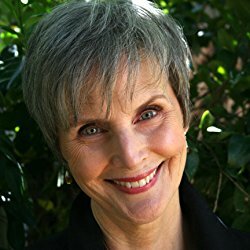 That is wonderful of you, Susan, and much appreciated! just inspirational hearing about all this! thank you so much for all the details and gratitude for the helpers! is Lindsay ok? where will she go? I loved reading this post Jan. In every devastation, it’s always a source of hope to read about all the GOOD that it brings out of people. I’m so glad we can all breathe easier now. Yes it has . . . in fact, this whole year hasn’t exactly been a day at the beach. But we’re still here, right?